Seven weeks after the Oracle v. Google trial began, the very first question -- the question of the copyrightability of the structure, sequence and organization (SSO) of the 37 asserted Java APIs -- has been answered. And by determining that Google's use of the SSO of the asserted APIs didn't include anything copyrightable, Judge Alsup has concluded that a partial jury verdict on the copyright part of the case, which identified an infringement of that SSO (based on the jury being instructed to assume copyrightability) but didn't reach a consensus on Google's fair use defense, isn't relevant in any way unless his decision on copyrightability is overturned on appeal. As a result, Google doesn't have to fear, in connection with Oracle's original lawsuit, an injunction against Android (or substantial damages, but an injunction would have been more important than any amount of damages that was ever claimed or discussed) for at least a couple of years. If the copied API material is held copyrightable on appeal, the question of whether this was fair use will have to be resolved either as a matter of law or by a new jury. Google argues that a new jury would have to evaluate the infringement question again, which might cause further delay. As of now, Google's decision to defend its position at a trial has paid off: it gets away unscathed, at least for another couple of years, with what it's done. Very few companies in Google's place would have taken the risks associated with his before the trial began, and the risks that still remain. The literal jury was discharged more than a week ago, but the proverbial jury is still out on this one, though Google's immediate IP litigation worries will relate to further injunctions that may result from a long list of other Android-related intellectual property lawsuits facing Google, its newly-acquired subsidiary Motorola, and other Android device makers (particularly Samsung and HTC). The you-win-some-you-lose-some nature of these kinds of disputes is easy to see. Two weeks ago, a U.S. trade agency ordered an import ban against Google's (Motorola's) own Android-based devices and six days later, or just a couple of days after Google formally closed the acquisition of Motorola Mobility, a German court ordered a permanent injunction (in each case relating to devices that come with particular technology that Microsoft owns and Google would have to remove to keep selling). It would be a human reaction for the 12 jurors, who had to spend weeks of their life in court at an hourly rate below minimum wage, to think to themselves: "why couldn't he decide this beforehand?" If this same decision had come down seven weeks earlier, there wouldn't have been a copyright liability trial or only one of a much narrower scope and simpler nature. Absent a settlement, there would still have been a patent liability trial. In that one, the jury verdict (which Judge Alsup upheld) was that Oracle had not proved Google's infringement of the two patents asserted at that stage (down from the seven asserted in August 2010), but at that stage this was the much less important part of the case. The cart (copyrightability) was put before the horse (infringement trial) for only one reason: Judge Alsup knew all along that a decision against the copyrightability of the asserted API SSO would face a considerable risk of being overturned. He reiterated in today's order that he wanted to avoid the need for another jury trial in that event. If Judge Alsup, who had already looked into this copyrightability question last year (when he largely denied a Google motion for summary judgment), had been sure of his assessment, he wouldn't have put the copyright infringement question before 12 "good citizens" of the San Francisco Bay Area in the first place. Judge Alsup always showed consideration for the jury. He even told the parties the week before the trial that if they settle, they should please do so before the weekend in order to minimize disruption of the jurors' lives. Against this background, it's fair to say that even he is clearly unsure of the defensibility of his ruling on appeal, even though he certainly didn't make that concession in the order itself. Given that even the judge recognized that an appeals court -- the next stop will be the Federal Circuit -- might come down on the other side, I think all those who are joyous about this non-final holding should be cautious and reasonable. Caution is required because Google has built key parts of Android on a controversial theory that one or two higher courts will ultimately have to decide, and even though a couple of years of reprieve on this front appears to be a long time in a rapidly-evolving space, the Android ecosystem (of which I'm a part, as one of hundreds of millions of users) certainly has longer-term interests in the platform. And with respect to reasonableness, a ruling that even the district judge was demonstrably unsure of doesn't mean that there was no case in the first place. Judge Alsup's decision is unprecedented in the sense that no comparable amount of software code (400 class definitions including many thousands of methods and other definitions) has previously been held uncopyrightable despite being deemed to satisfy the originality requirement. Both sides of the argument had reasons to voice and defend their respective positions -- that's why this had to go to trial, and that's why it will go on appeal. With the greatest respect for Judge Alsup, he doesn't have the final say. Only if his district court had ordered an injunction against Android, and if the appeals court had denied a Google motion to stay such an injunction, the district court's decision might have created facts (since Google would then have been under pressure to settle). But since the dispute carries on (unless the parties settle), the key issues now go on a coast-to-coast trip from San Francisco to Washington, D.C. In order to prevail, plaintiffs always need to overcome all defenses. In a separate ruling today, Judge Alsup threw out a couple of equitable defenses and stated that Google cannot claim to be "excused as to any aspect of Android because the whole of the platform was generally applauded by Sun", and in light of the collapsed licensing negotiations the parties had years ago, "[i]t would be most bizarre to somehow find an implied license in this scenario". Largely the same people who are jubilant about Judge Alsup's decision on copyrightability also claimed that a blog post by former Sun CEO Jonathan Schwartz, and his related testimony at the trial, proved that Google couldn't be held liable in any way, a theory that Judge Alsup has now held to be "bizarre". Among copyright lawsuits, this is one of a rare species of cases because it was not just about infringement, or about whether an infringement was justified under the fair use rule, but also about whether the copied material is protected by copyright -- in other words, about the scope of copyrightable subject matter. "This order does not hold that Java API packages are free for all to use without license. It does not hold that the structure, sequence and organization of all computer programs may be stolen. Rather, it holds on the specific facts of this case, the particular elements replicated by Google were free for all to use under the Copyright Act." For this initial reaction, I don't want to go into too much detail, especially since only a limited number of people follow the evolution of copyrightability-related case law. But I have read this in detail, and I previously analyzed the key cases cited by the parties and concluded that copyrightability is not the right level at which to protect competition in this context. Judge Alsup's reasoning has not changed this position of mine. I think copyrightability is a matter of originality (though of course no one should extend the scope of copyright to a level of abstraction at which someone writing about a method acquires patent-like ownership of the method itself), fair use is a more suitable way to ensure that applications can be written for platforms like Java (which is not at issue in this particular dispute, though some people mistakenly thought that a ruling in favor of copyrightability would prevent developers from creating apps), but even fair use isn't the right way to let competing platforms use vast amounts of original material since antitrust law can always impose FRAND licensing obligations to prevent abuse of a dominant market position by a single company or a cartel. An analogy would be real estate. Intellectual property is like virtual real estate. Some estates are in locations that are particularly important for traffic (whether or not that was the case when they were acquired is case-specific). I obviously can't collect rent or damages or fire at people who enter the outer part of my property to ring at the door as part of the normal course of business. And if someone turns his car around in my street and temporarily touches the outer part of my property, that is also something I have to accept. Those are "fair use" cases in this regard: I still keep my property, but I have to allow its free-of-charge use to some degree. In an extreme case, the government may want to build a new road, and the route that has been chosen requires me to sell them some (or, ina worst case, all) of my land. They can, under the laws of my country, expropriate me but only under special circumstances and only against reasonable compensation. This is the equivalent of a FRAND obligation under antitrust law. Obviously, all those "fair use" and "antitrust" issues in connection with my property could be avoided by not letting me, or anyone else, own such property. All land could be considered part of a "commons", and that would definitely simplify a lot of things. Even though it wouldn't make sense for me to sue the driver of a car that makes a turn and almost certainly represent a lost cause, my ownership of the land would allow me to try -- with a commons, there's no such problem in the first place. Also, if the government wants to build a road, it can do so on a commons, while I could defend myself against expropriation in the courts, which might delay construction by several years or even force the government to choose a new route and start all over again. The practical advantages of there being no real estate are clear, but only a few die-hard communists would agree that there should be no real estate or that it should be abolished. On balance, it makes more sense to have real estate but to also ensure that ownership comes with actual and potential obligations. Just to be very clear: Judge Alsup despises communism (he blamed Google in one of his orders last year for a "soviet-style" approach to business negotiations). But his order on this particular issue of API copyrightability happens to come down on the anti-property side of the spectrum. He could have held the asserted API SSO copyrightable and pointed to fair use and antitrust as the right ways to address any legitimate concerns. That is, by the way, what a senior Google copyright counsel, William Paltry, advocated years ago, and it's what Judge Michael Boudin wrote in his concurring opinion on the Lotus v. Borland appellate ruling. While Lotus v. Borland was about a much smaller SSO than the asserted Java APIs, the key thing is that he supported a ruling against copyrightability but felt that this could have unintended consequences and that there should be some kind of privilege to allow the use of some material rather than denying copyrightability in the first place. That line defines a public (i.e., accessible by all other code) and static (i.e., it's there when a program starts to run and doesn't require what is called instantiation of objects) function named "max" (for "maximum") that returns an "int" (integer, i.e., non-fractional numbers) result based on two parameters, x and y, that are also integers. The order makes clear that this is merely an example to illustrate, but the choice of this example is potentially misleading. Programmers know that there are far longer and more expressive names than "max" (those who read my blog won't be surprised to hear that my own coding style is to use rather long and expressive names -- not always, but sometimes) and, especially, more complicated parameter lists and, most importantly, more project-specific types of functions than the rather generic concept of calculating the greater of two values. There can be functions that use parameters of highly original formats and return a result in a highly original format, and the formats of the parameters and results may each be derived from other highly original formats. That's what object-oriented programming allows, and Java is object-oriented. Even C-style non-object-oriented languages allow what I described. Oracle never claimed a monopoly over a function like "max". The API part of its lawsuit wasn't even just about a collection of basic mathematical functions of this kind but about a much larger and more expressive body of work. Judge Alsup wrote that "[t]o accept Oracle’s claim would be to allow anyone to copyright one version of code to carry out a system of commands and thereby bar all others from writing their own different versions to carry out all or part of the same commands" and says that "[n]o holding has ever endorsed such a sweeping proposition". In the passage I just quoted, the words "or part" are key: in order to prevent Oracle from potentially claiming a monopoly over a part of this huge set of definitions that would be too small to be reasonably copyrightable in Judge Alsup's opinion, he denied copyrightability for many thousands of definitions with complex interdependencies (and major design choices involved). In other words, he issued a sweeping ruling in order to prevent someone from potentially concluding from a ruling on this particular case of copying that there's room for potentially "sweeping" claims along the lines of monopolizing "max", or a fundamental math library. The appeals court will have to decide whether a sweeping denial of copyrightability is in line with statutory law and case law, or whether copyrightability has to be allowed since the "sweeping proposition" Judge Alsup is concerned about can always be dealt with in other ways. Trial courts make decisions, and if those result in injunctions that aren't stayed, they have immediate impact. But there are reasons for which there are appeals courts that take a more strategic perspective on the underlying policy issues. With that more strategic perspective, they may agree with Judge Alsup and Google, in which case Google is cleared, or they may agree with Oracle, in which case the next question to address is fair use. The debate will move to a higher level, and it will be interesting to watch. In a way, the real thing is just about to begin. The outcome of disputes depends not only on substance and strategy but sometimes also on tactics and timelines. A couple of weeks ago, Judge Robert N. Scola of the United States District Court for the Southern District of Florida entered a case management order that was good news for Apple and HTC but bad news for Motorola. Judge Scola consolidated two Motorola v. Apple cases, including a more recent one in which Apple asserted six new counterclaim patents not only against Motorola but also against HTC. And he adopted the slow schedule that HTC had proposed. Yesterday, Motorola filed a motion for reconsideration, telling the judge that it would suffer "manifest injustice" if its claims against Apple went to trial in 2014, about four years after Motorola's original complaint. Motorola explained that it brought its second Florida lawsuit against Apple (in January 2012) only because it wasn't allowed to amend its infringement contentions to target the iPhone 4S and the iCloud in the 2010 case. It said Apple just wanted to delay the case through "procedural gamesmanship" after it "lost on nearly every term during claim construction". And Motorola regrets that the case management order came down two days before Motorola's deadline to respond to a pleading by Apple. But Judge Scola denied the Google subsidiary's motion today, only a day after it was filed. He entered a "paperless order" that doesn't even explain the reasoning. Since the courts enjoy quite some discretion in how they manage their cases, I guess Motorola depended on the judge's receptiveness to its petition. The term "manifest injustice" slightly exaggerated what happened to Motorola here, but it's fair to say that the judge adopted a combination of Apple's and HTC's proposals that was worse for Motorola's purposes than even Apple's own proposal -- and that's certainly unfortunate for the Google subsidiary. Motorola has a point where it refers to Apple's "procedural gamesmanship", but everyone plays those games and Apple has also come out on the losing end in some cases. For example, in December 2011 the United States District Court for the District of Delaware stayed all of Apple's claims against HTC pending in that district. That sweeping order to stay was closer to the notion of "manifest injustice" than what just happened to Motorola in Florida. Even in that case, the disadvantaged party (Apple) has no one to blame but itself: HTC actually would have preferred at some point to litigate in California. In the Florida case, Motorola could have avoided all those complications by waiting with its new lawsuit until it had a 100% reliable trial date for its original claims. But it appears that Motorola thought a lawsuit targeting older iPhones than the 4S wasn't too useful on its own. Still, if Motorola had successfully enforced some of its non-standard-essential patents against older iPhones, it could have gone after newer products later. Motorola brought its new Florida lawsuit in January in the middle of a détente as far as new filings in the U.S. are concerned: neither party had filed a U.S. complaint against the other since the "Googlorola" merger announcement in August 2011. Recently, HTC brought a motion to sever the claims it faces (as I mentioned in this recent post). Last week, Motorola declared itself in support of HTC's motion to sever. Apple filed its opposition brief yesterday, arguing that HTC's motion to sever is "disingenous" given that HTC itself argued in 2010 in favor of consolidating some Nokia v. Apple cases with some Apple v. HTC cases (which the federal courts didn't do; only the ITC did). "Moreover, Apple's complaint specifically pleads infringement of each patent in suit by HTC and Motorola based on each company's use of the identical unmodified Android source code -- for instance, during development and testing -- an allegation that HTC simply ignores." Apple has strong arguments against HTC's motion to sever and it presented them in the most well-crafted pleading of this particular kind that I've seen to date. HTC has been very lucky in a couple of case management contexts, but it won't always be as lucky as it was in Delaware and at the ITC. In the United Kingdom, patent holders have a very low rate of success compared to the situation in Germany. In addition, UK patent litigation is expensive, and injunctions are an equitable remedy like in the United States. For these and other reasons, I couldn't find any UK case law on injunctive relief over FRAND-pledged patents, and a UK lawyer speaking at a FRAND litigation conference in March wasn't aware of any precedents either. Instead, he said that the courts would likely provide further clarification in connection with IPCom v. Nokia. He was right. Today, Nokia commented on a decision following a hearing on May 18, 2012, and it's a markedly FRAND-friendly ruling. In June 2011, IPCom won a ruling against Nokia over its #100A patent, a patent on a technique that ensures preferential access to cellular networks for emergency responders and other priority users. The patent is considered essential to the 3G standard (also known as UMTS). Since the summer the parties had been wrangling over whether Nokia would be barred from selling products implementing the patented technique in the UK. In light of the FRAND declaration IPCom made in late 2009 to avoid a formal EU antitrust investigation, the UK High Court indicated to IPCom at the early stage of a May 18 hearing that an injunction was hardly going to happen and instead advised the parties (as the written judgment says) "to proceed to a determination of the terms of the licence as rapidly as was practically possible". "And once the licence is granted, which you are willing to grant and Nokia wants and the FRAND terms are determined, if an injunction were granted, it would come to an end." "I have to say in those circumstances I am very uncertain, to put it mildly, to see why a permanent injunction should be granted in this case at all or indeed any injunction. It seems to me a classic case for consideration of the [Shelfer v City of London Electric Lighting Co] criteria, given these circumstances. You are willing to give a licence. Nokia wants to get a licence. You cannot agree on the terms. They will be determined. There will then be a licence. In those circumstances for a non (unclear) [presumably a reference to IPCom's NPE status] to get an injunction seems to me quite extraordinary. That has been raised in the written arguments. It seems to me that is the area which I would like you to address me because that may resolve this matter quite apart from all these difficult questions of what the different German judgments mean and which principles of res judicata should be applied. It comes down then to the discretion of this court whether it is appropriate to grant an injunction at all." The Shelfer case is a 19th-century ruling that laid out criteria based on which injunctive relief can be denied because monetary compensation is considered sufficient. It has been applied to a number of recent patent decisions in the UK. While the fact that IPCom is a non-practicing entity went into the equitable analysis in this particular case, it would be a mistake to infer that operating companies always obtain injunctions. Even in a dispute between two operating companies the Shelfer criteria could apply. Also, operating companies like Motorola frequently pursue injunctive relief based on standard-essential patents even when they are not being harmed as a competitor. For example, Motorola doesn't build gaming consoles that compete with the Xbox 360, or operating systems that compete with Windows 7, or PC web browsers that compete with the Internet Explorer. And even in a case like Motorola v. Apple (these two companies compete in the wireless devices market), UK law would probably be flexible enough to deny an injunction if there are clear signs of FRAND abuse. The above quote also mentions the concept of res iudicata: the principle that something thas has been adjudicated by one court shouldn't be adjudicated by another (unless it's the competent appeals court). Nokia and IPCom have a lot of litigation pending in Germany, especially in Mannheim. German courts consider FRAND licensing offers made by implementers of standards (but unfortunately don't attach any importance to FRAND pledges made by patent holders) under the Orange-Book-Standard framework. Some patent holders like IPCom would like those unFRANDly German decisions to have res iudicata status in other European countries with respect to any FRAND issues. In this particular UK case, the court concluded that it didn't need to reach that question. If this ever had to be decided, there's a good chance that the conclusion would be that FRAND issues play such a secondary role in German infringement lawsuits that they aren't adjudicated in a way that would preclude defendants from raising the same issues in other jurisdictions. The concept of res iudicata requires a formal decision on a particular issue. Nokia welcomed the UK High Court's decision: "Nokia is pleased that the UK High Court has finally dismissed IPCom's attempts to obtain an injunction. Mr Justice Roth has confirmed that IPCom must abide by the commitments that it made to the European Commission and cannot seek injunctions under standard-essential patents against companies such as Nokia who are prepared to take a licence on fair reasonable and non-discriminatory terms." And if Tim Cook, who noted yesterday that standard-essential patents are an area in which the patent system is broken, hears about this pro-FRAND UK decision, I'm sure he, too, will welcome it. Germany continues to be the only major jurisdiction in Europe to be firmly on the side of FRAND abusers, a fact that means money in the pockets of a few law firms but hurts the economy at large. This blog post by Scott Daniels, an experienced patent litigator and author of the leading blog on U.S. patent reexaminations (WHDA Reexamination Alert), lists high-profile reexamination requests filed last week, including two anonymous ex parte requests against Apple's two most important multitouch software patents: U.S. Patent No. 7,469,381 (the overscroll bounce, or "rubber-banding", patent) and U.S. Patent No. 7,479,949, the touchscreen heuristics patent (first on the list of inventors: Steve Jobs). Those are by far and away Apple's most important multitouch software patents. In terms of breadth, patents like the photo gallery page-flipping patent or even the slide-to-unlock patent pale in comparison. I agree with Scott that Google could be behind those filings. 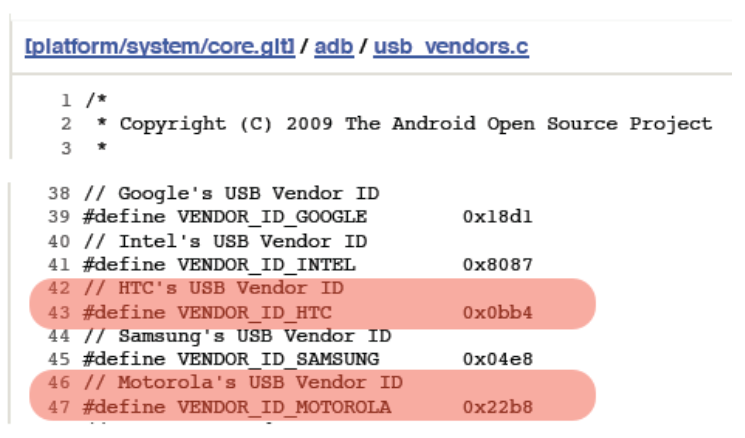 Google sees that Apple is asserting those patents against all three of the leading Android device makers (Samsung, HTC, and Google subsidiary Motorola Mobility). Those three defendants also have their reasons to fight against those patents. All three work with Quinn Emanuel (in most if not all litigations with Apple) and appear to use a common inventory of prior art. But theoretically, any Android device maker has to fear those patents. For example, based on tablet computer market share, Amazon would be a logical future target for Apple. Either of these patents previously survived an ex parte reexamination, at least one of which may have been brought by Nokia, which was embroiled in litigation with Apple at the time. An inter partes reexamination request brought by EMG Technology LLC, a company that sued Apple back in 2008, was rejected by the USPTO. FIG. 35 illustrates the interpretation of angles used in the designated position travel direction determination process. 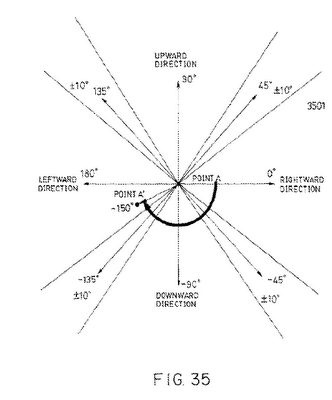 As shown in a diagram 3501, the angle range of 360[deg.] is divided into two zones with respect to the X axis: one zone ranges from 0[deg.] to 180[deg.] in the positive Y axis area and the other ranges from -1[deg.] to -179[deg.] in the negative Y axis area. An angle segment having a range of +-35[deg.] (from -35[deg.] to 35[deg.]) with respect to 0[deg.] is interpreted as a rightward direction range. An angle segment having a range of +-35[deg.] (from 55[deg.] to 125[deg.]) with respect to 90[deg.] is interpreted as an upward direction range. An angle segment having a range of 35[deg.] (from 145[deg.] to 180[deg.] and from -179[deg.] to -145[deg.]) with respect to 180[deg.] is interpreted as a leftward direction range. An angle segment having a range of +-35[deg.] (from -55[deg.] to -125[deg.]) with respect to -90[deg.] is interpreted as a downward direction range. Angle ranges of +-10[deg.] respectively with respect to 45[deg. ], 135[deg. ], -135[deg. ], and -45[deg.] are used for other operations. At first sight, the Wakai prior art reference appears to render the '949 patent obvious, if not non-novel. I don't usually make such statements on prior art since minor differences between the prior art and a challenged patent are often enough to keep a patent alive, but in this case I would really be surprised if this request didn't succeed at least against the broadest claims of the challenged patent. After this holiday weekend it probably won't take long before Judge Alsup, possibly after asking the parties some more questions in writing or at a hearing, rules on the copyrightability of the structure, sequence and organization (SSO) of Oracle's asserted 37 Java APIs. And after his decision, it won't take long (absent a settlement) before an appeal by whichever party disagrees. With a view to the things to come, I have reread every copyrightability-related pleading in Oracle v. Google and looked up every reference to cases that were cited and appeared remotely relevant (even several cases that are unrelated to computer software). None of them -- including any combination of them -- rules out the copyrightability of sufficiently original APIs. It's a highly case-specific question. There's a significant probability that Judge Alsup and/or an appeals court will hold the SSO of these particular APIs (as opposed to the SSO of all APIs out there) copyrightable. No SSO of the originality and complexity of the one at issue here has ever been held uncopyrightable in the United States (not even by the EU Court of Justice, by the way). But that doesn't mean that legitimate concerns cannot be addressed. Uncopyrightability would be one way to ensure a competitive environment, but fortunately it's not the only way. Let's firstly look at the extremely low threshold for copyrightability under U.S. law that some other decisions have already demonstrated and the implications for this case. Subsequently, I'll explain Google's competition-related arguments and why I don't think uncopyrightability is the answer. Finally, I'll discuss the extent to which fair use and FRAND licensing obligations can contribute to a solution in terms of a balanced overall framework (provided that FRAND is interpreted more reasonably by others than it is by a certain Google subsidiary). For people who have hands-on programming experience it can be surprising to see how low the hurdle for software copyrightability is. Judge Alsup also appears to have done a fair amount of coding, and even though he said that he had written code like the nine-line rangeCheck function a hundred times, he separated his personal value judgment from his decision on a Google motion to overrule the jury with regard to rangeCheck. Judge Alsup upheld the jury's finding in this respect. Google had made a de minimis argument that he rejected. Instead, he overruled the jury on the eight decompiled files, and if you look at them (I published them all more than a year ago), I'm sure Judge Alsup could write that kind of code any day of the week as well. For code segments that contain executable instructions, it appears that the line between uncopyrightable and copyrightable code is drawn somewhere south of rangeCheck. For example, in Sega v. Accolade (one of Google's favorite cases) the Ninth Circuit found that an initialization key consisting "merely of 20 bytes of initialization code plus the letters S-E-G-A" was "probably unprotected" -- note the remaining uncertainty that the word "probably" reflects. The SSO of the asserted Java APIs raises a different copyrightability question because an SSO is considered a non-literal element. Still, the fact that the hurdle for literal elements is low serves as an indication for the standard. The parties' pleadings on API SSO copyrightability cite cases based on whatever appears to fit into a given context. All of those cases, whether they held SSOs copyrightable or not, relate to much less protectable material than what is at issue in this case. Obviously, the lower the standard for copyrightability is according to a given case, the better for Oracle in this context, while the most useful decisions for Google's purposes would be those that hold relatively large and complex SSOs uncopyrightable -- but those are impossible to find. In order to prevail here, Google needs an unprecedented kind of decision. That one would be useful to other litigants further down the road, but unfortunately is would also pave the way for some fundamental attacks on software copyright beyond the context of APIs. I'm optimistic that Judge Alsup will do his best to ensure that whatever his decision is will be phrased in a way that can't have all sorts of unintended consequences. If he decided that the SSO of the 37 asserted Java APIs is expressive (in light of its large object-oriented structure with many interdependencies and design choices involved), that might encourage others to claim copyright in smaller and simpler APIs, but defendants could then point to differences between APIs asserted in future cases and those 37 Java APIs. There aren't too many APIs in the industry that have this scope and scale. In the previous paragraph I used the word "large" and wish to clarify inhowfar size matters in this context. Size has an indirect but nevertheless important effect here. If a category of data or code is uncopyrightable, size does not make a single data set or line of code less uncopyrightable. In Feist v. Rural, the Supreme Court rejected the "sweat-of-the-brow" test, a doctrine according to which material became copyrightable just because it took a lot of work to compile it. Instead, originality was established as an indispensable requirement, though the hurdle is low. In particular, Feist allowed the use of 4,000 entries from a telephone directory that had no creative structure (it was simply sorted by last name). The outcome (concerning copyrightability, not necessarily other legal theories) would have been the same even if the amount of data had been 100 or 1,000 times larger. Any number multiplied by zero amounts to zero. For the copyrightability of APIs, size does matter if they have an original and creative structure. Organizing 400 classes, 4,500 methods and 7,000 declarations (those numbers are at issue in Oracle v. Google) in a way that programmers don't get lost is a far greater challenge than doing the same with a set of 4 classes, 45 methods and 70 declarations. In this smaller example, there isn't even a need to think about which classes to put into which package. There probably isn't much, if any, inheritance. Even this smaller API requires a significant degree of creativity, but complexity (at the design stage) grows at a more than linear rate. By contrast, the only bit of incremental "complexity" for a large phone directory is that it may have to be split up alphabetically into multiple volumes. In the Feist context it's important to consider that, besides a simple (alphabetical) structure, the case also dealt with a compilation of preexisting data. The Java APIs, however, contain many thousands of lines that were authored by Sun. I also mentioned Sega before. The 20 bytes of code plus the word SEGA were just the part that Accolade had to build into its games and redistribute. Other than that, the case was only about fair use as a justification for intermediate copying for the purpose of reverse engineering. As I explained on Tuesday, Sega and the follow-on Sony v. Connectix (also Ninth Circuit) case didn't narrow the scope of copyrightable subject matter based on compatibility considerations: they merely deemed copyrightability a legitimate objective for reverse engineering (and only within reason). But at any rate, the interfaces that were reverse-engineered in those cases were far smaller and simpler than the Java APIs. Connectix's opening appellate brief said in a footnote that the company "mplemented only 137 of the 242 functions implemented in Sony's BIOS" in its video game emulator. The structure was not an object-oriented one. Since Sega related to an even older platform, and in light of this memory map of the Sega Genesis, it's unlikely that the SSO of the relevant APIs was substantially larger or more creative. The Ninth Circuit nevertheless didn't rule out that Sega might have had an infringement claim with respect to Accolade's finished products. In Mitel v. Iqtel, the Tenth Circuit didn't even declare a table of indices (1 to 7) and data throughput rates (110 baud, 300 baud, 600 baud, 1,200 baud, 2,2400 baud, 4,800 baud, 9,600 baud; 1 baud = 1 bit per second) competely unoriginal -- only "largely". For the remainder, it invoked the scènes a faire doctrine. In Lexmark v. Static Control, the Sixth Circuit looked at two programs that were key to making toner cartridges work in a printer. The defendant didn't even dispute that the relatively larger one of the two, which "translates into over 20 printed pages of program commands", is copyrightable. The smaller one existed in two versions, one with 33 program instructions occupying 37 bytes of memory and the other one with 45 program commands using 55 bytes of memory. The court couldn't help but mention that the full name of the case, "'Lexmark International, Inc. vs. Static Control Components, Inc.'[,] in ASCII format would occupy more memory than either version of the Toner Loading Program". The court then engaged in a detailed analysis of whether that small program was expressive. Ultimately the defendant prevailed on the basis that this program used the most efficient way of calculating toner levels and alternatives amounted to different methods of operation as opposed to different ways to express the same formula. In Lotus v. Borland, "469 commands arranged into more than 50 menus and submenus" were at issue. Each menu item had a shortcut (typically its first letter). The menus were hierarchical, but that was it. No inheritance, no declarations that cross-reference each other, etc. In Apple v. Microsoft, license agreements were in place and some of the material asserted by Apple was actually not Apple's own creation. Accordingly, the Ninth Circuit limited its analysis to only 10 (out of 179) user interface elements. Some of those were rather broad ideas like the concept of "overlapping windows" or that of a "close window" button. In Gates Rubber Co. v. Bando Chemical Industries, the program at issue was a tool for determining "the proper rubber belt for a particular machine". The defendant used some of the mathematical formulae and constants. As far as constants are concerned, the Tenth Circuit didn't rule out that some constants can be copyrightable: it merely ruled out copyright protection for "scientific observations of physical relationships concerning the load that a particular belt can carry around certain sized gears at certain speeds given a number of other variables" because "[t]hese relationships are not invented or created; they already exist and are merely observed, discovered and recorded". Constants in APIs are sometimes dictated by realities (such as RGB values of colors) but they can also be created independently. In Engineering Dynamics v. Structural Software, the Fifth Circuit "REVERSE[D] the district court's holding that computer/user interfaces in the form of input and output formats are uncopyrightable". In CDN Inc. v. Kapes, the Ninth Circuit agreed with the district court that CDN's coin pricing guides are "wholly the product of [CDN's] creativity" as opposed to facts. Oracle has made it clear that the Java APIs aren't a compilation, but this 1999 ruling is an interesting indication at any rate. In American Dental Association v. Delta Dental Plans Association, the Seventh Circuit ruled that a taxonomy can be copyrightable. In this case, the taxonomy classified dental procedures. It was a hierarchical structure. Each dental procedure was assigned a numerical code, a short description, and a long description. The Seventh Circuit said that "[d]ental procedures could be classified by complexity, or by the tools necessary to perform them, or by the parts of the mouth involved, or by the anesthesia employed, or in any of a dozen different ways". Therefore, "[t]he Code's descriptions don't 'merge with the facts' any more than a scientific description of butterfly attributes is part of a butterfly". The work as a whole was deemed copyrightable at any rate because of "original long descriptions". Then the court added: "But we think that even the short description and the number are original works of authorship." Google really hates that decision. Google also dislikes Johnson Controls v. Phoenix Control Systems, a case I discussed in this recent post. The computer programs at issue in that case served "to control wastewater treatment plants". Given that this is a case from the 1980s, and in light of the vertical focus of this kind of program, the SSO of this software must have been much smaller and simpler than that of the 37 asserted Java APIs. Even Google's favorite EU court case, SAS Institute Inc. v. World Programming Ltd., relates to something that is not comparable in complexity and creativity to the 37 asserted Java APIs. While the decision rules that programming functionality cannot be copyrighted, it related only to a programming language (not an API) and some data formats (stuff that is not at issue in Oracle v. Google, and it still noted that a programming language could be copyrightable if it's a programmer's own creation. An EU case is of limited relevance to a U.S. decision, just like European courts can't order the death penalty only because some states still execute it and all Western civilizations have by now ratified various human rights treaties. That example may appear extreme, but even within the realm of intellectual property there are analogies. I bet that most of those who would like Judge Alsup to be persuaded by a misreading of the EU decision to hold APIs uncopyrightable are exactly the ones who protest against ACTA and would cry foul if European courts adopted certain clauses of the Digital Millennium Copyright Act or U.S. case law on business method patents. While I just can't see how Judge Alsup could find the SSO of the 37 asserted Java APIs uncopyrightable without going by a huge factor beyond previous U.S. court rulings that held non-linear elements of computer programs unprotected, I can see why Google wants APIs to be treated as a different animal. But it's one thing to agree that a concern is, at least in part, legitimate and another thing to agree that the context in which to address those concerns must be copyrightability. In my view, the existing legal framework doesn't support a broad-brush exclusion of APIs from copyrightability, but it does provide more reasonable solutions. I mentioned before that Google argues the Sega and Sony decisions make it impossible, or at least much harder, to obtain copyright protection of whatever is functionally relevant to compatibility. I won't repeat why I think that's not what those fair-use-centric decisions said. But at a policy level, I do agree that compatibility is important. What fair use might help prevent is that a platform maker publishes APIs and then uses his copyright in those APIs to prevent only some developers from writing applications that reasonably utilize them. But that's not the issue in Oracle v. Google since Google doesn't write apps for Java that Oracle wouldn't allow. Google has created an alternative denomination of Java. Google tries a similar trick -- suggesting a conflict between interoperability and copyrightability -- in its argument that the merger doctrine or scènes a faire doctrine should apply. All of this comes down to Google saying that many programmers know Java so it must be legitimate to provide a partly familiar platform to them: it's kind of "expected". If there's only one way to reasonably express a particular element of a Java API, it must be copyright-free. Google wants all Java APIs to be uncopyrightable. The problem here is that rules like the merger doctrine and scènes a faire would only help Google to the extent that Sun, when it created those APIs, was limited in its choice or had to respond to expectations. Maybe there are some basic Java API elements for which this is true, such as the string data type or some simple mathematical functions, but Google makes this claim for everything, including countless elements of those APIs that were created by Sun without any restrictions (or industry expectations) of any kind applying. Simply put, something that is copyrightable when it's created can't become uncopyrightable only because it's successful. Copyright holders don't become victims of their own success as far as the question of copyrightability is concerned. When Judge Alsup largely denied Google's motion for summary judgment against Oracle's copyright claims last summer, he rejected certain parts of Google's motion particularly because Google wanted a "sweeping" decision instead of being more specific. I wouldn't be surprised if history repeated itself in the coming days. Google could have made an elaborate argument under the Abstraction-Filtration-Comparison test, but it didn't (though it frequently cites the CA v. Altai case I mentioned above). That's understandable from Google's perspective: when dealing with 400 classes, 4,500 methods and 7,000 declarations, it's not attractive to focus on a few items like "string" or basic mathematical functions that may indeed qualify for a merger or scènes a faire argument. It wouldn't solve the overall problem because Google there's too much material in there that can only be declared uncopyrightable if one comes up with a theory for the "sweeping" decision Judge Alsup refused to make in the summer. The cases that Google cites in its favor largely have in common that the courts stressed the importance of balanced copyright law. Copyright shouldn't result in monopolies that are patent-like (if not broader) but don't have to meet similar criteria (novelty, non-obviousness, disclosure etc.) and would be in effect for an even longer period of time. There were some extreme cases such as Baker v. Selden (an author of a book on accounting practices later claimed a monopoly on what the book describes) or Allen v. Academic Games League of America (arguing, based on a claimed copyright in game rules, that card game tournaments were illegal without a special license from the author of those games) which related to high-level ideas. There were also some less extreme cases in which the courts had to remind everyone that copyright law must be balanced to achieve its stated objective. By setting and maintaining a reasonably high standard for API copyrightability (in terms of originality, creativity and complexity), the courts can discourage and prevent API abuse. But copyrightability is not the only tool. I said before that fair use can help in some cases, but I stand by my belief that Google's use of those Java APIs does not qualify for a "fair use" exception under the law. The third pillar of a reasonable approach to API copyrightability (besides a standard for copyrightability that should not be too low, and access to fair use in cases in which it is warranted) is antitrust law. In other words, FRAND. I mean genuine, good-faith FRAND, not Googlorola-style prohibitive demands without a sincere intent to grant a FRAND license. The EFF recently issued a statement on API copyrightability and I cricitized that the very example for a critical API that the EFF mentioned, Samba, was resolved several years ago (the EFF as an organization definitely knows) by the European Commission. For Java, the question of whether there's a FRAND licensing obligation under antitrust law is a non-issue: FRAND licenses for clean-room implementations are already available. The Java example shows that FRAND is different from a fair use exception in some ways. While fair use denies that a creator is entitled to a payment, FRAND licenses are typically royalty-bearing. And it's no less important to consider that FRAND licenses are often made available only to those who create a fully compliant implementation of a standard (whether a near-compliant implementation qualifies for FRAND under antitrust law is a separate question). If Google made Android fully Java-compatible, it would be entitled to a FRAND license. In light of that, I don't think it's reasonable to expect Judge Alsup to depart from the standard for copyrightability (by a factor of 1,000 or more) or to invoke "fair use" when there actually is a FRAND option. FRAND also has an advantage to implementers. For example, FRAND licenses relating to a standard typically cover all categories of intellectual property -- including patents that are essential (i.e., they are inevitably infringed by a reasonable implementation of a standard). Patent law doesn't have a "fair use" exception, and if you want to talk to a patent office about the public policy considerations Google puts front and center in the Android/Java case, good luck: patents are granted based on strictly technical criteria, and public interest exceptions only come into play under exceptional circumstances (such as in the event of an epidemia or national security concerns). Antitrust law can't impose a FRAND licensing obligation in connection with every API, but it doesn't have to. If there are viable alternatives to an API, there may not be a FRAND obligation, but in that case, market dynamics will give the more available and affordable API a competitive advantage. But in those cases in which the market can't take care of itself, competition law can come to the rescue. Just to be clear: I don't categorically reject competition-related arguments as far as intellectual property law itself is concerned. As far as my personal position is concerned, I'd like patent examiners to have to justify the grant of a patent in light of the fact that a patent is a (time-limited) monopoly. But we have to make a proper distinction between the way we'd like the law to be shaped and the way in which it can be reasonably applied today. Google's position on competition and IP is contradictory in itself. 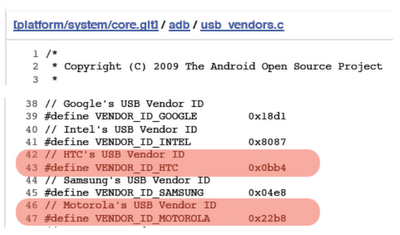 On the one hand, Google endorses and now directs Motorola's abuse of standard-essential patents. On the other hand, Google wants free-of-charge and unrestricted access to certain Java-related IP and twists and turns the case law, suggesting that fair use cases established an actually non-existent conflict between copyrightability and compatibility and advocating that copyright holders should become victims of their own success. Right in the middle between those two extremes there's a balanced solution called FRAND. In light of the German patent injunction Microsoft won against Google's Motorola on Thursday only six days after it obtained an ITC import ban, I agree with CNET's Roger Cheng that "a settlement has to be something both sides are weighing heavily". Google may like to claim that Android is "free", but courts in multiple jurisdictions have already found Android to infringe third-party patents, so there's a problem that needs to be solved somehow. Thus far, no one has presented a viable path other than licensing (whoever comes up with a better idea should file for a patent on it). In my report on Thursday I mentioned that the Munich I Regional Court also held trials on a couple of other Microsoft v. Motorola lawsuits. In practical terms, we're talking about two patent infringement lawsuits, though formally (due to administrative delays in cross-border service of complaints) there are separate lawsuits targeting Motorola's German subsidiary on the one hand and its U.S. parent company on the other hand. Decisions on those matters will be made on July 26, 2012. There could be rulings or stays pending parallel nullity proceedings. It appears that these cases will likely be adjucated in two months since the key questions are on the infringement side, though Motorola is also challenging the validity of those patents. In the following, I will summarize the key questions that came up at the Thursday trials. A first hearing concerning this patent, which covers a certain way to manage multiple input methods (such as on-screen keyboards or voice input) took place in mid-February. What's truly remarkable about Judge Dr. Peter Guntz' court -- and was again apparent at this trial -- is its open-mindedness that gives litigants a chance to make their case even on issues that the court views very skeptically prior to a hearing. All courts should be open-minded, and most courts, including in Germany, are. But sometimes it's hard to tell whether a party's counsel gets the chance to make a certain point only for the sake of due process or whether a court tirelessly seeks to understand deeply technical issues. The Munich court holds at least two hearings on each case, and sometimes three, before a decision, while other German courts typically hold only one. Motorola, which usually sues in Mannheim, complained on Thursday that Microsoft's counsel presented new arguments at each hearing, and the fact that the Munich court looks at cases from potentially different angles at different hearings is certainly a challenge, especially for defendants who should be able to react promptly. In his introductory remarks, Judge Dr. Guntz explained that Android appears to practice every limitation of claim 1 of this patent except for having the "management component" that is also disclosed. It was clear that Microsoft's counsel faced a very significant challenge (to say the least) to argue that Android has a management component that meets the criteria specified in the patent. But at the end of the trial I felt that any outcome with respect to claim 1 was still possible. There was no dispute that Android has different components that collectively perform what the disclosed "management component" is supposed to do. The question was only whether different bits and pieces of Android's code perform the functions of that "management component" in a manner that cannot be considered sufficiently coherent to meet the relevant limitation. Microsoft's counsel argued that software components aren't necessarily monolithic and can't be compared to physical components in, for example, a mechanical invention, while Motorola's counsel argued that Android doesn't have such a "management component" since the outermost limit of a component is where one process ends and another process begins. In today's technological environment Motorola's proposed boundary would be unthinkable, but even at the time when the patent was filed, inter-process communication was well-known. Also, when we're talking about different "processes" running on a smartphone or tablet computer, we're not even talking about a truly distributed environment but just about what happens inside a single device. Even if Motorola defended itself against claim 1, it would still have to fend off claim 23, which is another independent claim that doesn't disclose a "management component". Motorola argues that the architecture implied by claim 1 should also influence the way in which claim 23 has to be understood. The court didn't give a clear indication and listened patiently, but Microsoft's counsel made some points about the claim structure that I felt made more sense in light of general claim construction principles. This was the court's third discussion of this patent with these two parties. I reported on a mid-April hearing at which it was apparent that Microsoft's counsel had made significant headway since a first hearing in December. On Thursday, Microsoft again appeared to be closer to winning, though this is too close to call. The only thing that's certain is that an infringement finding is now a realistic possibility. That's why the court also took another look at Motorola's argument that the case should be stayed pending a parallel nullity action. 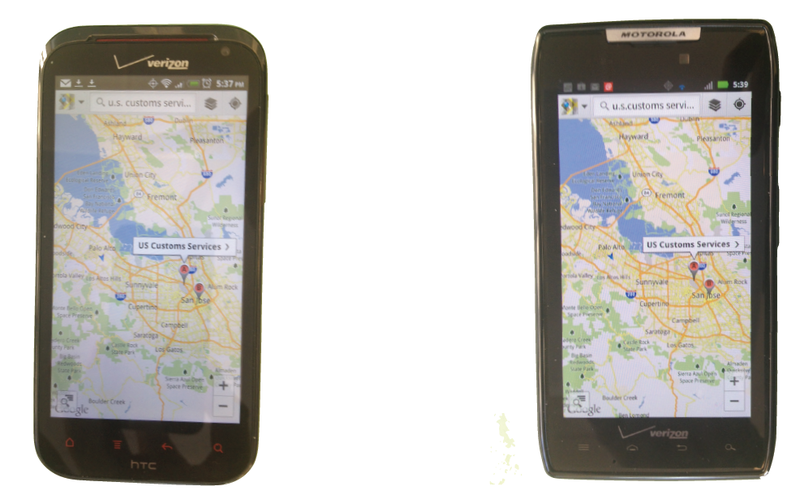 The technical issue that the court viewed differently on Thursday from a preliminary assessment in April is that the passing of an interface pointer between objects does occur in Android: it's just that the pointer isn't passed between existing objects but at construction time. The court hasn't decided yet whether the patent claim language has scope for this, but that may be the conclusion in the end. The discussion of this infringement theory resulted in a disagreement of fact between the parties concerning whether a certain static method returns a particular pointer. That is rather unusual. Typically, the parties disagree on whether undisputed facts fall within the legal scope of a patent claim. I'm sure this factual disagreement will be sorted out swiftly. The court also appears to be optimistic that this factual dispute won't be relevant or that clarification can be provided very soon. That's why the decision remains scheduled for July 26, 2012 (the same target date as for the decision on the soft input panel patent). That announcement will be one of the more interesting ones, unless the parties can reach an agreement within two months. Now that Google is in full control of Motorola Mobility, any discussions between Motorola and Microsoft (as well as those between Motorola and Apple) can be held without uncertainty about the "Googlorola" merger. Google's Motorola wants Apple to pay $347 million for past use of two wireless patents in the U.S. This week, Judge Richard Posner ruled on Apple's and Motorola's Daubert (exclusion of damages theories ahead of trial) motions against each other. The case will go to trial in Chicago next month. In January I already wrote about Judge Posner's reputation. He's the most-cited U.S. legal scholar of the 20th century. What makes his Daubert ruling particularly interesting is that legal economics are his favorite subject. I have uploaded the order to Scribd. It entered the public record only a couple of days ago. Napper: 'I asked an engineer who works for Apple." As you can see, this order is not only enlightening but also entertaining. But here I'll focus on what I'm particularly interested in: FRAND. That part comes up at the end in a section on Motorola's damages claims (and Apple's counterargument) regarding the '559 and '898 patents. Those are standard-essential wireless patents. One covers a preamble sequence, the other a countdown. There are actually numerous viable alternatives (in fact, an infinite number of viable alternatives) for what either patent does, but the problem with standard-essential patents is that an industry standard prescribes a particular way (out of many ways) to solve a problem, so even if those patents were narrow before they made their way into the standard, they can't be worked around. In his analysis, Judge Posner presumes that these two patents must be licensed on FRAND terms. He also denied a Motorola motion to strike all FRAND references in Apple's damages theory: Apple argues that the most Motorola could have received as a royalty is a FRAND rate. Judge Posner agrees with Apple that "Motorola's obligation to license its standards-essential patents on FRAND terms--the content of those terms to be determined in the bench trial immediately upon the liability trials--is highly relevant to the royalty it would have been able to extract from Apple had they successfully negotiated a reasonable royalty ex ante". While Apple's FRAND theory survived, a Motorola theory that resulted in a damages claim of $347 million as an estimate of a "reasonable" royalty (or alternatively $468 million based on Motorola's allegedly lost profits "plus a reasonable royalty on sales not subject to a lost‐profits analysis") was tossed because the reasoning was based on "a counterfactual world in which there is no Apple product on the market because Apple doesn't have a license to use Motorola's cellular patents", an "alternative‐universe approach" that Posner dismisses as "science fiction". Courts should always reject theories according to which the economic value of a FRAND-pledged standard-essential patent is the gatekeeper value of access to the market. Any FRAND rate must be based on the value of the technology someone contributed to a standard as opposed to the value of standardization itself, which at least in this industry involves cartels that leverage collective market power. Judge Posner didn't take a position on Motorola's 2.25% royalty demand per se since he wants to discuss it at the FRAND stage of the trial. He simply mentioned it because even if one applied that royalty, as a worst-case scenario, Apple would have paid less, given that the 2.25% royalty relates to far more patents than just the two at issue here. At first sight, one may think that Motorola's $347-$468 million damages theory is not inconsistent with what some other right holders demand in their litigations. For example, Apple just recently said it is seeking billions of dollars from Samsung. But one can't compare any of those numbers without also looking at the facts. Here, the fact is not only that Motorola has a FRAND licensing obligation but also that those two patents are only two out of a large number of standard-essential wireless patents (for example, roughly 8,000 patents from almost 900 patent families were, by their holders, declared essential to the 3GPP/3GPP2 standards). There are situations in which two patents represent enormous value. Even a single patent can be very valuable. But here it's easy to extrapolate those numbers considering how many patents it takes to implement the 3G standard (and even more to implement standards 3G is backward-compatible with). Of course, Motorola could argue that those two patents have a value that's far above the value of the average patent essential to the same standard. That's what Motorola did. Motorola's damages expert apparently recognized the fact that Apple had to implement those two patents only in order to make the iPhone work on AT&T's network, but wouldn't have needed them for Verizon in a technical sense. Motorola's damages theory is based in part on the fact that Apple's contract with AT T was exclusive and Apple couldn't have switched later. Judge Posner, however, points out that Apple might have negotiated a modification or could have broken the contract, with AT T's damages then representing the relevant cost. 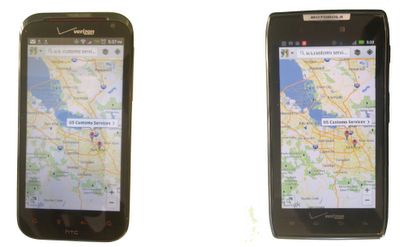 Motorola should at least have analyzed those alternatives. As for Apple's benefit from partnering with AT&T, the order finds that Motorola's expert simply argued that it was substantial but cannot be quantified. "She began her testimony at the Daubert hearing by explaining that $347 million, while a seemingly large number, is nothing to Apple--a company that made some $30 billion in revenue from the products that Motorola contends infringe the Motorola patents. The implication is that even if Apple could have saved, say, $100 million by launching on Verizon, what's the difference to Apple of having to pay $347 million versus $247 million? Either figure is less than 1 percent of Apple's total profits during the damages period. Obviously a damages estimate cannot be based on such reasoning. For imagine her being hired by Apple for advice on how to minimize its liability to Motorola, and her advising Apple that although her highest estimate of the cost of avoiding infringement is $347 million, that’s probably too high by a couple of hundred million dollars, but that she hasn’t bothered to consider avoidance measures that would cost less than $347 million because one hundred million dollars or so is chicken feed to Apple and so it wouldn’t want to pay an additional fee to her to search the alternatives. That is nonsense." There's a related issue to consider here which didn't play a role in Judge Posner's analysis (it wouldn't have been relevant at this stage) but which is important to me from a FRAND point of view. Even if Apple had partnered with Verizon instead of AT T and if Verizon's network doesn't use the features those two patents read on, Apple would always have had to assume that its customers might need that functionality if they travel outside the United States. It's risky not to implement all mandatory parts of a wireless standard in a device. Apart from potential incompatibilities with existing or future cellular networks in foreign countries, it can also result in a loss of a device maker's entitlement to a FRAND license -- or at least a debate over whether a FRAND license was effectively repudiated. FRAND pledges and FRAND license agreements relating to standard-essential patents are usually designed to benefit only those who implement a standard in full. Under antitrust law, a materially compliant implementation might also be entitled to a FRAND license, regardless of what a contract or a FRAND pledge say. But there would be some degree of legal uncertainty. There must be a limit somewhere: it would certainly be unreasonable for any standard-essential patent to be available on FRAND terms for just any purpose, no matter how little it has to do with implementing the standard the patent is essential to. From a damages point of view, the argument that full compliance is required may seem to help Motorola rather than Apple -- but not if a court determines that the special circumstances of standard-essentiality and a FRAND licensing obligation require a completely different analysis than the one for non-standard-essential patents. In this particular litigation, the FRAND issues have not been evaluated yet, but the case is on a tight schedule and the Daubert decision had to be made now. That's why Judge Posner's Daubert order considered the existence of FRAND obligations only as an assumption in certain (but not in all) contexts. In my opinion, all FRAND issues should always be adjudicated first if there's a reasonably strong prima facie case for FRAND. FRAND should set the framework for everything else, including damages claims and Daubert motions. But I know that others have a preference for dealing with everything at the same trial.